As a plaintiff’s personal injury attorney in Atlanta, Georgia, handling numerous car wreck cases, probably the saddest case of all is one that involves the death of a child. 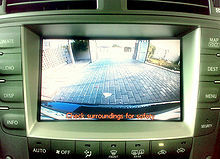 I have blogged before about the absolute necessity of back-up cameras in SUV’s, vans, trucks and really any vehicle that sits high off the ground. Now I see another child in Georgia has been killed by her own parent due to the lack of a back-up camera in the parent’s SUV. A back-up camera, which is very inexpensive, would have prevented this tradgedy. Many newer model vehicles now include these cameras as standard equipment. These cameras are inexpensive and easily found for purchase on the internet. The National Highway Traffic Safety Administration’s (NHTSA) estimates that in 2009 there were 292 fatalities involving backing over a pedestrian or bicylist. The NHTSA complete report indicates that among cases where the type of the striking vehicle is known, 78 percent of the backover fatalities and 95 percent of the backover injuries involved passenger vehicles. While people of all ages are victims of backovers, this report confirmed that children under 5 years old and adults 70 and older have an elevated risk of being backover victims compared to the rest of the population. Backover fatalities happen in a variety of areas with the most common area being the driveway, closely followed by other residential areas, public roadways, and nonresidential parking lots. Backover injuries tend to happen more frequently in nonresidential parking lots than other areas.